Situated in the mountains, this pension is 0.1 mi (0.1 km) from Isarco Valley. Located near the slopes, this Rodengo residence is within 1 mi (2 km) of Isarco Valley and Rodengo Castle and close to winter sports such as cross-country skiing and skiing lessons. Bergbahn Gondola and Giardino Vescovile are also within 9 mi (15 km). Situated in Rodengo, this hotel is within a 10-minute walk of Isarco Valley and Rodengo Castle. Chiusa di Rio di Pusteria and Loden Museum are also within 9 mi (15 km). 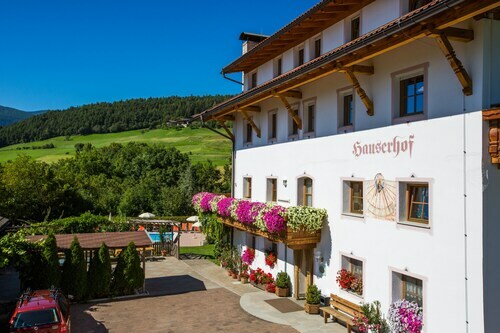 Conveniently near skiing facilities, this Bressanone hotel is located in the city center, within 3 mi (5 km) of Neustift Monastery and Plose Ski Area, and close to winter sports such as skiing lessons and sledding. Puez-Geisler Nature Park is 13.7 mi (22 km) away. Bressanone/Brixen Station is 16 minutes by foot. How Much is a Hotel Room in Rodengo? Hotels in Rodengo start at $134 per night. Prices and availability subject to change. Additional terms may apply. Visitors to Alto Adige - South Tyrol are simply spoiled for choice when it comes to checking out interesting accommodation in Rodengo. Be inspired by 33 hotel establishments just a short drive from Rodengo's downtown core on our handy lodging guide. There are quite a few lodgings found within a 3-mile (5-kilometer) radius of Rodengo's city center, such as the Aktiv Vitalhotel Lodenwirt and Mineralienhotel Natznerhof. 18 miles (29 kilometers) away from central Rodengo, you will find the Rosa Alpina Hotel & Spa Relais&Chateaux. Alternatively, the Antares is situated 16 miles (26 kilometers) away. 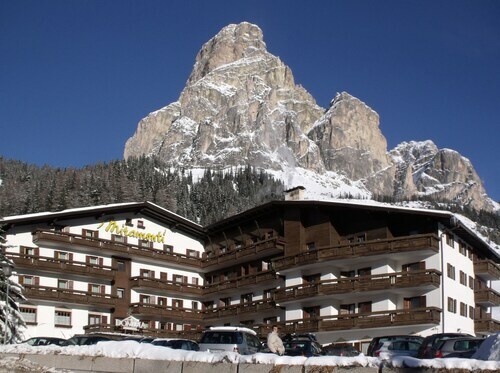 The Hotel La Perla along with the Seiser Alm Urthaler are two other places to base yourself in Rodengo. Why not spread your wings and investigate the many attractions around Trentino-Alto Adige while you're in Rodengo? If you're a nature lover, be sure to explore Trentino-Alto Adige's forests. You should also venture through its ruins, castles and traditional villages. In this fascinating part of Italy adventurous travelers may enjoy snowboarding. On the hunt for things to do? Spend some time seeing Merano Theatre and Merano Christmas Market, which can be found in Merano Historic Center, 30 miles (45 kilometers) to the west of Rodengo. The Hotel Castel Fragsburg and Park Hotel Mignon are some of the long and short-stay choices in Merano Historic Center. Alternatively, you could consider staying at Alpe di Siusi, 20 miles (33 kilometers) to the south of Rodengo, where you'll find the Parc Hotel Miramonti and Hotel Waldsee. The Lake Fie and Proesels Castle are other popular points of interest to discover when visiting Alpe di Siusi. Make sure you get your sporting fix by making a trip to PalaTrento, which is located 60 miles (95 kilometers) to the southwest of Rodengo. Enlightened travelers hoping to stay close by can compare between the Aquila d'Oro or the Hosting Culture Hotel Accademia. Bolzano Airport is a primary entry point for those flying into and leaving Rodengo. It is located 30 miles (47 kilometers) from the downtown area. For modern travelers who have plans to find a room nearby, book a room at Eberle or Four Points by Sheraton Bolzano. The staff was eager to assist with any requests, the location was great, we loved the shower and the room was very clean. We also very much enjoyed the breakfast each morning. The service was good and there were many great food options. I would have preferred that the lighting in the room be improved, the tv worked and that the wifi connection worked in the room. None of these things concerned us enough to even ask for correction, so it is hard to blame the staff. The hotels location was within a short walk to town and was directly across the street from the Ski Bus. We opted for a ski locker rental by the ski school rather than take the bus, which worked out perfectly. We very much enjoyed our stay and found the Miramonti to a great value. I would recommend the hotel and Corvara is a spectacular place to visit.